Definition at line 9 of file memtest.h. Definition at line 18 of file memtest.h. 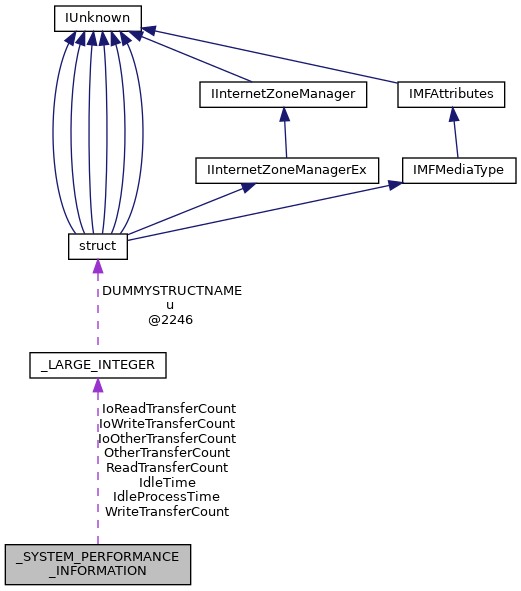 Referenced by GetPerformanceInfo(), GlobalMemoryStatusEx(), PerfDataGetPhysicalMemoryAvailableK(), QSI_DEF(), and SetupUpdateMemoryInfo(). Definition at line 30 of file memtest.h. Definition at line 29 of file memtest.h. Definition at line 25 of file memtest.h. Definition at line 68 of file memtest.h. Definition at line 70 of file memtest.h. Definition at line 69 of file memtest.h. Definition at line 71 of file memtest.h. Definition at line 79 of file memtest.h. Definition at line 80 of file memtest.h. Definition at line 58 of file memtest.h. Definition at line 55 of file memtest.h. Definition at line 57 of file memtest.h. Definition at line 56 of file memtest.h. Definition at line 54 of file memtest.h. Definition at line 51 of file memtest.h. Definition at line 53 of file memtest.h. Definition at line 52 of file memtest.h. Definition at line 77 of file memtest.h. Definition at line 78 of file memtest.h. Definition at line 59 of file memtest.h. Definition at line 61 of file memtest.h. Definition at line 60 of file memtest.h. Definition at line 62 of file memtest.h. Definition at line 72 of file memtest.h. Definition at line 74 of file memtest.h. Definition at line 73 of file memtest.h. Definition at line 75 of file memtest.h. Definition at line 63 of file memtest.h. Definition at line 64 of file memtest.h. Definition at line 66 of file memtest.h. Definition at line 65 of file memtest.h. Definition at line 67 of file memtest.h. Definition at line 76 of file memtest.h. Definition at line 20 of file memtest.h. Referenced by GetPerformanceInfo(), GlobalMemoryStatusEx(), PerfDataGetCommitChargeLimitK(), QSI_DEF(), and SetupUpdateMemoryInfo(). Definition at line 19 of file memtest.h. Referenced by GetPerformanceInfo(), GlobalMemoryStatusEx(), PerfDataGetCommitChargeTotalK(), and QSI_DEF(). Definition at line 81 of file memtest.h. Definition at line 23 of file memtest.h. Definition at line 1459 of file winternl.h. Definition at line 1461 of file winternl.h. Definition at line 1460 of file winternl.h. Definition at line 1462 of file winternl.h. Definition at line 1470 of file winternl.h. Definition at line 1471 of file winternl.h. Definition at line 26 of file memtest.h. Definition at line 1418 of file winternl.h. Definition at line 31 of file memtest.h. Definition at line 32 of file memtest.h. Definition at line 1449 of file winternl.h. Definition at line 1446 of file winternl.h. Definition at line 1448 of file winternl.h. Definition at line 1447 of file winternl.h. Definition at line 1445 of file winternl.h. Definition at line 1442 of file winternl.h. Definition at line 1444 of file winternl.h. Definition at line 1443 of file winternl.h. Definition at line 82 of file memtest.h. Definition at line 41 of file memtest.h. Definition at line 11 of file memtest.h. Definition at line 1403 of file winternl.h. Definition at line 17 of file memtest.h. Definition at line 14 of file memtest.h. Definition at line 15 of file memtest.h. Definition at line 12 of file memtest.h. Definition at line 16 of file memtest.h. Definition at line 13 of file memtest.h. Definition at line 1468 of file winternl.h. Definition at line 1469 of file winternl.h. Definition at line 1450 of file winternl.h. Definition at line 1452 of file winternl.h. Definition at line 1451 of file winternl.h. Definition at line 1453 of file winternl.h. Definition at line 1424 of file winternl.h. Definition at line 1425 of file winternl.h. Definition at line 33 of file memtest.h. Definition at line 34 of file memtest.h. Definition at line 1463 of file winternl.h. Definition at line 1465 of file winternl.h. Definition at line 1464 of file winternl.h. Definition at line 1466 of file winternl.h. Definition at line 1439 of file winternl.h. Definition at line 39 of file memtest.h. Definition at line 40 of file memtest.h. Definition at line 45 of file memtest.h. Definition at line 36 of file memtest.h. Referenced by GetPerformanceInfo(), PerfDataGetKernelMemoryNonPagedK(), PerfDataGetKernelMemoryTotalK(), QSI_DEF(), and SetupUpdateMemoryInfo(). Definition at line 1427 of file winternl.h. Definition at line 1409 of file winternl.h. Definition at line 1406 of file winternl.h. Definition at line 37 of file memtest.h. Definition at line 38 of file memtest.h. Definition at line 46 of file memtest.h. Definition at line 1440 of file winternl.h. Definition at line 35 of file memtest.h. Referenced by GetPerformanceInfo(), PerfDataGetKernelMemoryPagedK(), PerfDataGetKernelMemoryTotalK(), QSI_DEF(), and SetupUpdateMemoryInfo(). Definition at line 1426 of file winternl.h. Definition at line 22 of file memtest.h. Definition at line 1414 of file winternl.h. Definition at line 1422 of file winternl.h. Definition at line 1423 of file winternl.h. Definition at line 27 of file memtest.h. Definition at line 28 of file memtest.h. Definition at line 1420 of file winternl.h. Definition at line 1419 of file winternl.h. Definition at line 21 of file memtest.h. Referenced by GetPerformanceInfo(), PerfDataGetCommitChargePeakK(), and QSI_DEF(). Definition at line 1454 of file winternl.h. Definition at line 1455 of file winternl.h. Definition at line 1457 of file winternl.h. Definition at line 1456 of file winternl.h. Definition at line 1458 of file winternl.h. Definition at line 1467 of file winternl.h. Definition at line 1407 of file winternl.h. Definition at line 1404 of file winternl.h. Definition at line 493 of file winternl.h. Definition at line 1417 of file winternl.h. Definition at line 1421 of file winternl.h. Definition at line 1438 of file winternl.h. Definition at line 49 of file memtest.h. Definition at line 48 of file memtest.h. Referenced by QSI_DEF(), and SetupUpdateMemoryInfo(). Definition at line 42 of file memtest.h. Definition at line 50 of file memtest.h. Definition at line 83 of file memtest.h. Definition at line 1436 of file winternl.h. Definition at line 1437 of file winternl.h. Definition at line 47 of file memtest.h. Definition at line 84 of file memtest.h. Definition at line 1433 of file winternl.h. Definition at line 1441 of file winternl.h. Definition at line 1412 of file winternl.h. Definition at line 1411 of file winternl.h. Definition at line 1432 of file winternl.h. Definition at line 44 of file memtest.h. Definition at line 43 of file memtest.h. Definition at line 24 of file memtest.h. Definition at line 1416 of file winternl.h. Definition at line 1415 of file winternl.h. Definition at line 1408 of file winternl.h. Definition at line 1405 of file winternl.h.